With the pacing time, it is very important that we take extra care of our health to remain fit and ready to combat any external fractions. Hypertension and Cardiovascular diseases are very common nowadays and it is our sole responsibility to protect ourselves from these deadly diseases. You can avoid major life-threatening diseases by adopting a healthy lifestyle today. Here below we have listed some tips to avoid hypertension and heart-related diseases. >Exercise for most of your working days: Attaining some regular, daily exercise can reduce your risk of hypertension and heart disease. And when you combine physical activity with other lifestyle measures, such as maintaining a healthy weight, the payoff is even greater. >Eat a heart-healthy diet: Eating a healthy diet can diminish your risk of blood pressure and heart disease. Heart-healthy food plans include the Dietary Approaches to Stop Hypertension (DASH) eating plan and the Mediterranean diet. A diet rich in fruits, vegetables and whole grains can help protect your heart. >Maintain a healthy weight: To combat yourself from diseases like hypertension and heart attack, you have to maintain a positive BMI (Body Mass Index). Being overweight triples your risk of heart disease. Excess weight can lead to conditions that increase your chances of heart disease — including high blood pressure, high cholesterol and diabetes. >Quality sleep: Sleep deficiency can do more damage than you can imagine. People who don't get adequate sleep have a higher risk of obesity, high blood pressure, heart attack, diabetes and depression. Doctors across the globe always recommend getting enough sleep to avoid high BP and cardiovascular diseases. So, keep the above tips in mind and enjoy a healthy life. 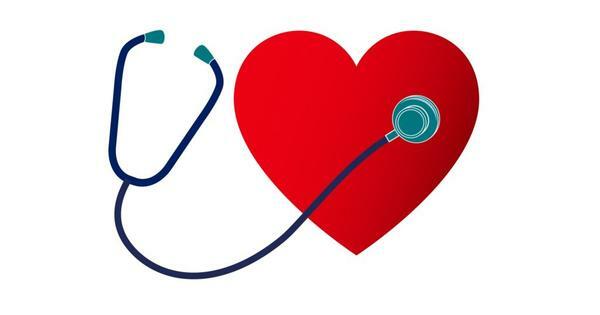 Did You Know Poor Oral Hygiene Can Cause Hypertension? Foods That Naturally Clear Plaque in Arteries. What Makes Us Prone To Heart Disease?